Lunch does NOT have to be boring! 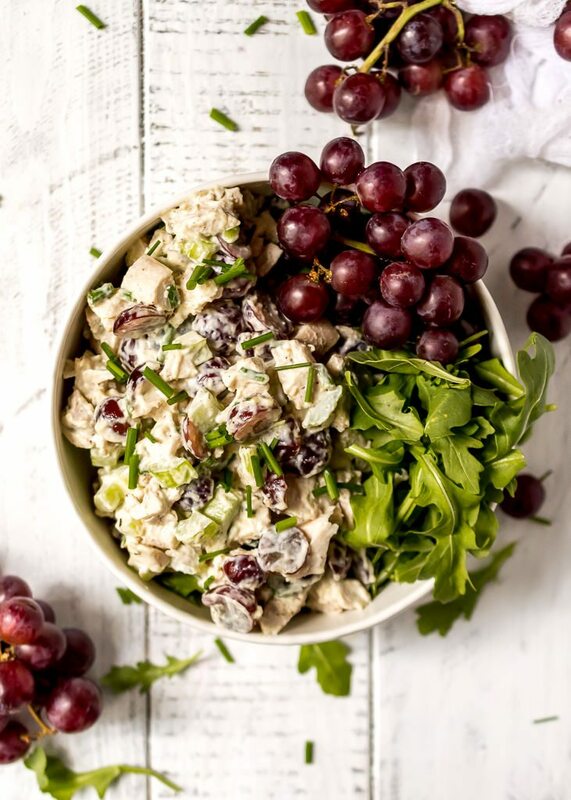 This Chicken Salad with Grapes and Chives takes the standard chicken salad sandwich to the next level. 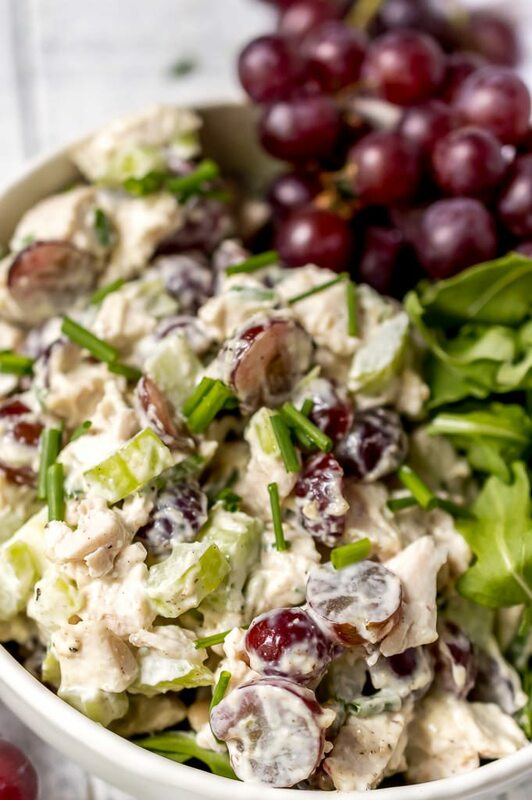 Bursting with flavor, this chicken salad is great on salads, wraps or sandwiches. 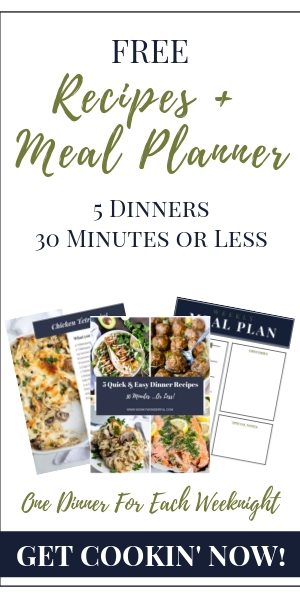 This is a Whole30 and Paleo compliant recipe and great for a meal prep idea. It should be no secret by now that I have a thing for chicken salad recipes. 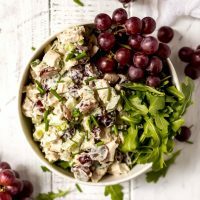 I love taking chicken salad and giving it a unique twist, some unexpected flavor and basically giving it an update. 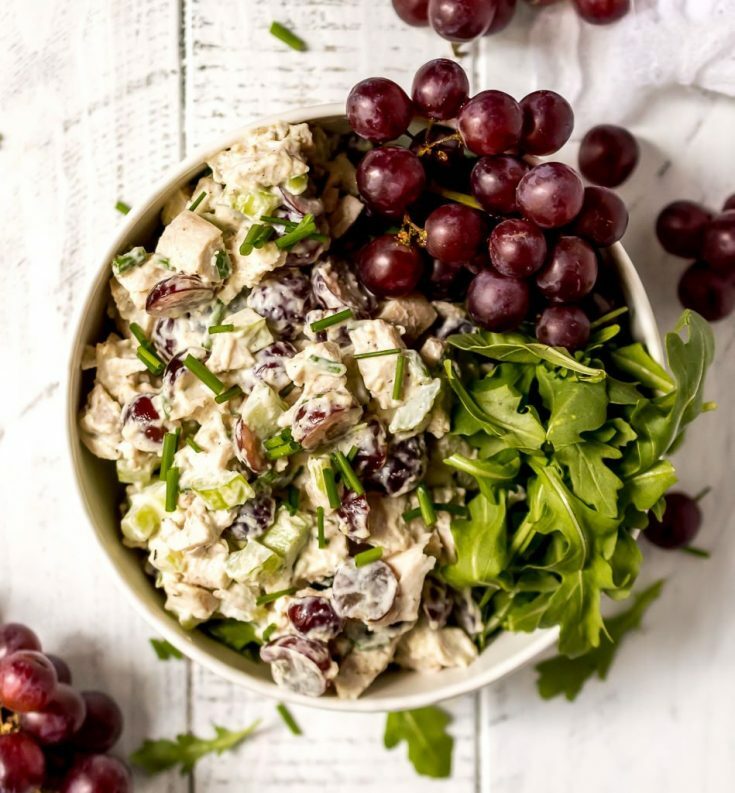 This Chicken Salad with Grapes and Chives has a great blend of flavors. The savory chives and sage compliment the sweetness of the grapes. The colors really bring a bland chicken salad to life! Don’t worry about the skeptics. This recipe will win them over. My daughter doesn’t give me side eye for fruity chicken salad ever since she tasted my delicious Mandarin Chicken Salad Recipe ???? What type of grapes should you use? I use red seedless grapes because I prefer their color an flavor. But green grapes will work just as well. Your call! Can you leave off the sage or chives? Yes! That’s what is great about homemade . . . make it your own. Leave off or add any ingredients to your hearts desire. 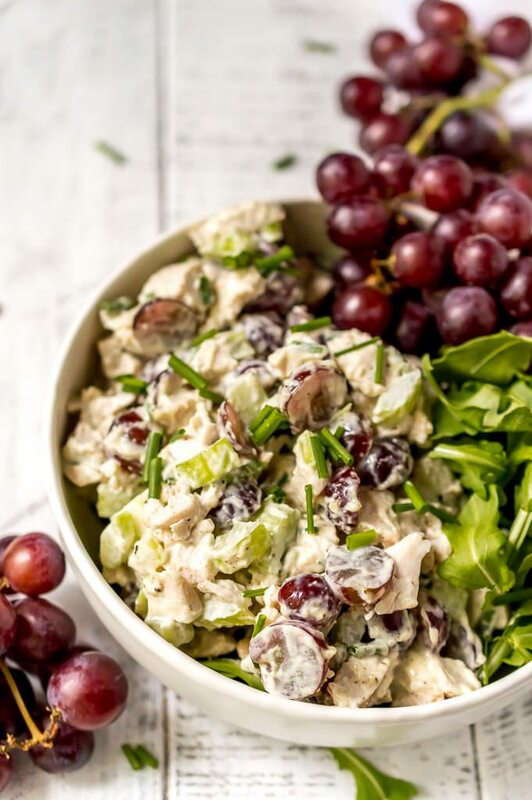 How should you serve this chicken salad with grapes? If limiting carbs (like me) serve this chicken salad over a bed of lettuce or arugula. Or make into chicken salad lettuce wraps. If carbs aren’t an issue, this chicken salad is great in tortilla wraps, sandwiches or over rice. I like to make double the amount of chicken then section it in half. I make two batches of chicken salad with totally different flavors and ingredients. 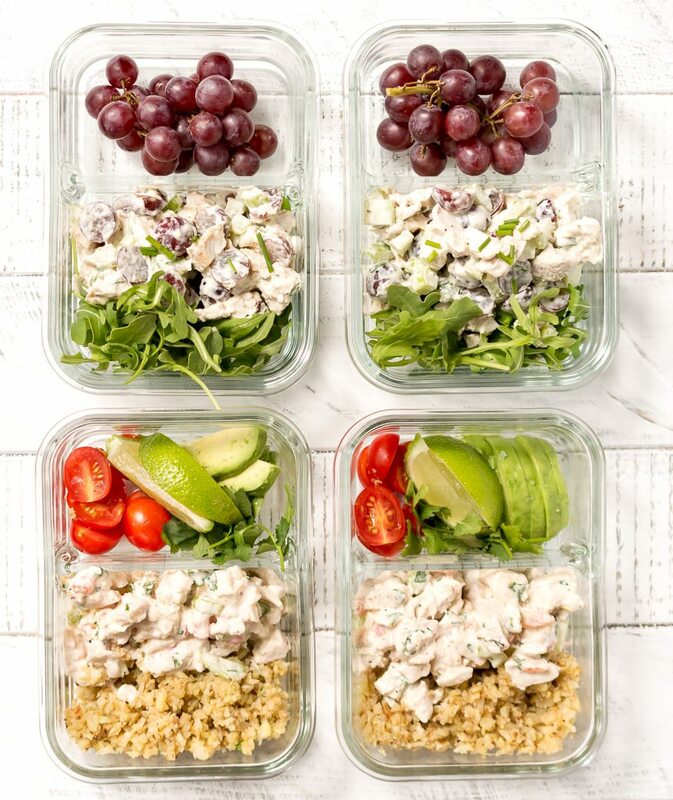 Then you easily have your lunches for the week! You’ll need a good Baking Dish and Meat Thermometer . For meal prep, I use these Glass Meal Prep Containers with Lids . For a little crunch, add chopped peans, walnuts or almonds. You can add finely chopped red onion as well. Looking for a shortcut? Use a store bought rotisserie chicken. Don’t like sage? Leave it out and use your favorite chicken spice instead. Or add a spoonful of stone ground mustard for some Zip! Coat chicken breasts with olive oil, salt and pepper then transfer to a roasting dish. Let cool then chop or shred chicken. Combine chopped chicken with all remaining ingredients. Serve over lettuce, in a wrap or on a sandwich.